The 2007 European Design Awards Ceremony, which took place in Athens on May 11th, started with a 8-minute fast-paced video celebrating Europe’s peoples, cultures and music. This video, created by Stockholm Design Lab for the 2000 Eurovision Song Contest and shown the previous day at the European Design Conference, established the tone for this first edition of the awards: for more than a mere succession of nominees, merits and trophies, this ceremony commemorated Europe’s rich diversity in one of its most precious resources: creativity. Aiming to be considered among the best of graphic design, illustration and multimedia design in Europe, work from more than 450 individuals and collectives from all over the continent was submitted. All this work was judged in Athens by a jury made up of editors from eleven prestigious communication design magazines in Europe – 2+3D (Poland), CAP & Design (Sweden), +design (Greece), étapes (France), Eye (UK), IDPURE (Switzerland), Items (The Netherlands), KAK (Russia), novum (Germany), TYPO (Czech Republic) and Visual (Spain) — which awarded a total of 50 Merits, 21 Awards and one Jury Prize. The awards ceremony, the “grand-finale” of a three-day European Design programme, gathered over 350 professionals and students who came to Athens to be part of this premier event for communication design in Europe. Under the ten main categories— which ranged from illustration to identity, from packaging to poster design — the broad range of work featured came from a total of 13 countries, over 50 individuals and studios, and covered a myriad of different media and platforms. With such a disparity of recipients, clients, and contexts, a “European identity” in design – whatever the concept may mean today — is certainly hard to grasp. Take Greek studio Looking, for example: it received a Packaging Graphics award for their design of the MastihaShop Therapy product line. These products share a common base, mastiha — a resin unique to trees in the Greek island of Chios — so the values and objectives shared between client and designer are easy to understand: They are Greek first, then European. However, how “Austrian” or even “European” is Titus Nemeth “Nassim” typeface, or why does a German studio like Design Aspekt create Norman Foster and Partners’ website? Moreover, why do Barlock have two studios – one in The Netherlands, the other in Belgium – and Studio Dumbar just opened a branch in Shanghai? And how come Stockholm Design Lab is designing batteries and other products for the Japanese brand Askul? Where is Europe to be found? Or maybe Erik Spiekermann, Germany’s “überdesigner” knows: with a career spanning over 30 years, his many typefaces, systems and interfaces are a part of our everyday lives, first in Germany, then Europe, and then the rest of the world. We are in contact every day with at least one of his creations, found in magazines, books and TV channels, trains, cars and planes, motorways and airports and cities. With such a contribution to the shaping of the European (visual) landscape, Spiekermann, who received the European Awards Hall of Fame 2007 distinction (as voted by all the participants of the competition) should at least know what “graphic Europe” can look like. 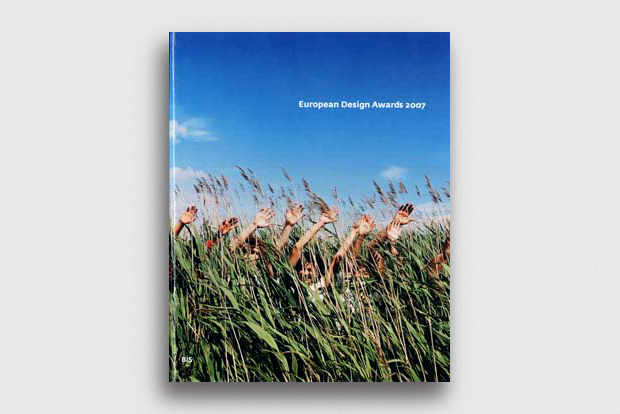 The European Design Awards, on their own, offer no clear answers. Be it corporate or cultural, political or self-indulgent (there is a self-promotion category especially for that), global or local, good work and talent don’t have to come with dancers, silly lyrics or camp costumes to get on the stage of this European celebration (unlike other, more established competitions). If having a postcode in one of the European countries is the only criterion for application, everything else is possible and there are really no borders besides project categories. The awarded work at the inaugural European Design Awards showed that the “Old Continent” – from the Azores to the Urals, from Iceland to Cyprus – fosters a wealth of high-quality, thought-provoking, creative work, and will continue to do so in the future. See you next year in Stockholm.